Freight: FOB Destination, Freight Prepaid. This is a new contract. See link to all Products listed on State Contract on page 5. 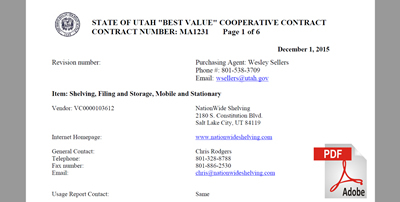 This contract covers only those procurement items listed. When placing orders, make sure to identify your organization as a government entity and provide the contract number. It is the responsibility of the ordering agency to ensure that the vendor is given the correct delivery and billing address. Agencies should return to the vendor any invoice which reflects incorrect pricing. Other items ordered that are not listed on the contract must be invoiced separately. This contract information sheet is subject to change. State Purchasing doesn’t recommend that you print a copy due to the potential to change. 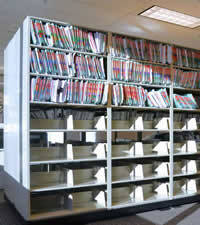 Always view contract information online. Please contact the Purchasing Agent listed above if you have questions or concerns. 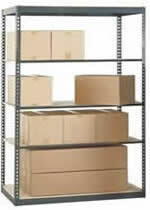 Stationary Shelving: Consists of storage units such as cantilever or other static shelving or filing systems. 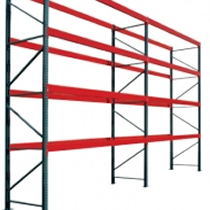 Rotary Shelving: Consists of double-sided shelving that rotate 180 degrees allowing access to both sides from one position. 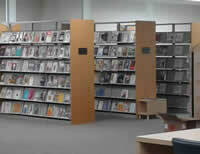 System design allows for 2 rows of shelving in areas where usually only one would fit, therefore maximizing floor space. 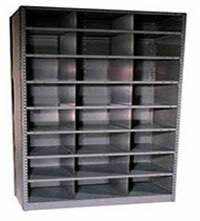 Storage Products and Accessories: Consists of any additional storage products and accessories that complement the offered shelving and filing product lines. 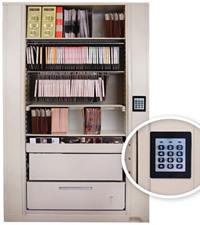 n. The cost of additional cleaning shall be fully reimbursed by the Contracted Supplier or Authorized Dealer.